Until recently, real halocells were available only in underground health resorts in inactive salt mines. In Poland in Wieliczka, but also in other European countries. Thanks to the progress of the technique, we can use the healing properties of salt in various objects aimed at improving health. 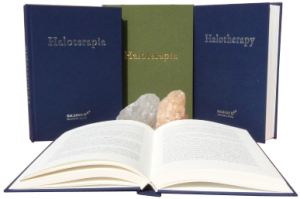 Modern halotherapy facilities are not just sanatoriums or hospitals. Omnipresent air pollution smog causes that we are looking for safe and healthy places for us for our children, wherever we stay we want to feel safe and healthy. Advances in technology have made it possible to produce aerosol particles with a size of 1-5 μm, which reach the earliest parts of the bronchial tree, thanks to which we are able to reproduce the conditions of an active salt mine in a ground room. The creation of a professional halotherapy facility requires the knowledge of medical engineering. The atmosphere of the underground sanatorium in the salt mines is characterized by clean air without allergens. Stable temperature and air humidity. An additional stimulus in the form of a salt aerosol stimulates our body and strengthens the immune system. The right technical conditions of the room are an essential element if we want to create a medical facility. Unfortunately, many so-called inhalatories are only relaxation places, while professional halotherapy facilities are extremely rare. Wherever we are, we want to feel safe and healthy. Safe and beneficial health conditions are an advantage of many public buildings and are often a criterion for choosing, for example, kindergarten, school by parents. Group inhalations with dry salt aerosol can be an attractive addition, and the effectiveness and safety of therapy makes it possible for everyone to use it without exception.